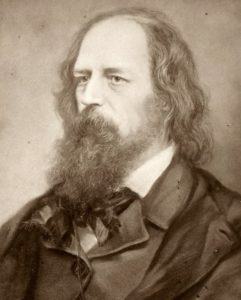 The 2019 Annual Tennyson Society Conference will be hosted at Christ Church, Oxford – the college of Henry Hallam and of William Gladstone, who was instrumental in securing Tennyson’s peerage. The conference will include keynote lectures by Professor Michael O’Neill (Durham), Professor Leonée Ormond (King’s College, London), Professor Seamus Perry (University of Oxford), and Dr Jane Wright (Bristol). Their lectures will be accompanied by three panels of twenty-minute papers on topics relating to any aspect of Tennyson’s works, reception, and literary circle. Those interested in speaking are invited to submit proposals of no more than 300 words, alongside a short biographical statement, to the conference convenor by 12 October 2018 (at michael.sullivan@chch.ox.ac.uk). If you would like to receive a notification when registration opens, please let us know at michael.sullivan@chch.ox.ac.uk.